A gripping account of the very latest developments in the esoteric worlds of conspiracy theories, Ufology, paranormal investigations and the bizarre. Most people will have heard of UFOs, ghosts and yetis, but what about the wilder shores of the paranormal, the conspiracy theorists and down right bizarre? In this book, one of the world’s leading and most prolific paranormal bloggers takes readers on a voyage of discovery like no other ever written. The key players are interviewed, explaining their views on the JFK assassination, the shadowy and sinister Illuminati, the influential Bilderberg Group, allegations of an incipient New World Order, cover ups and how hidden messages can be found in Hollywood movies such as Blade Runner and TV shows including the X-Files. Dean Haglund, Richard Dolan, Steve Watson, Richard Holland, Nick Pope, Timucin Leflef, Bryce Zabel, Christopher Knowles and Nick Redfern are all here. 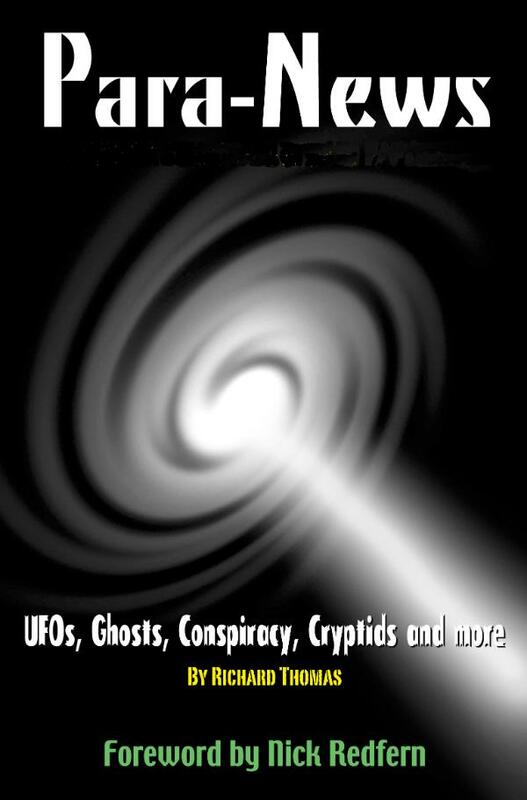 The book takes a critical look at timeslips, ghosts, UFOs, cryptids, mind control, aliens, disinformation, black-ops, the Bermuda Triangle and a host of other paranormal phenomena. – Nick Redfern, author of The Real Men in Black and Space Girl Dead on Spaghetti Junction. RICHARD THOMAS is a freelance feature writer specialising in Fortean subjects. Richard has written for high street magazines, including Alien Worlds Magazine, Paranormal Magazine and UFO Matrix Magazine. He is also a blogger for UFOMystic and Binnall of America. In addition to writing about the paranormal and unexplained, Richard also writes a column entitled “Big Day Out” for the South Wales Evening Post, Wales’ largest circulation newspaper. His website is at www.richardthomas.eu.